Nike's Ad Campaign: Smart or Stupid? 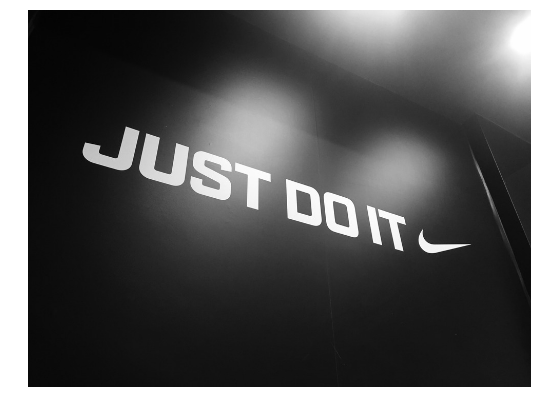 Home » News Blogs » Nike’s Ad Campaign: Smart or Stupid? Nike’s Ad Campaign: Smart or Stupid? Colin Kaepernick, former San Francisco 49ers quarterback, is the face of Nike’s new ad campaign. The endorsement deal between Nike and the American football star has fuelled a massive online debate. People from across the world are sharing their opinions about the apparel giant backing an athlete who previously triggered protests among NFL plays for social issues – like police brutality and racial inequality. In 2016, Kaepernick rejected to stand for the anthem in protest at police violence against African-Americans. The protest divided the country, one argument being it was disrespectful and another in support of the movement. 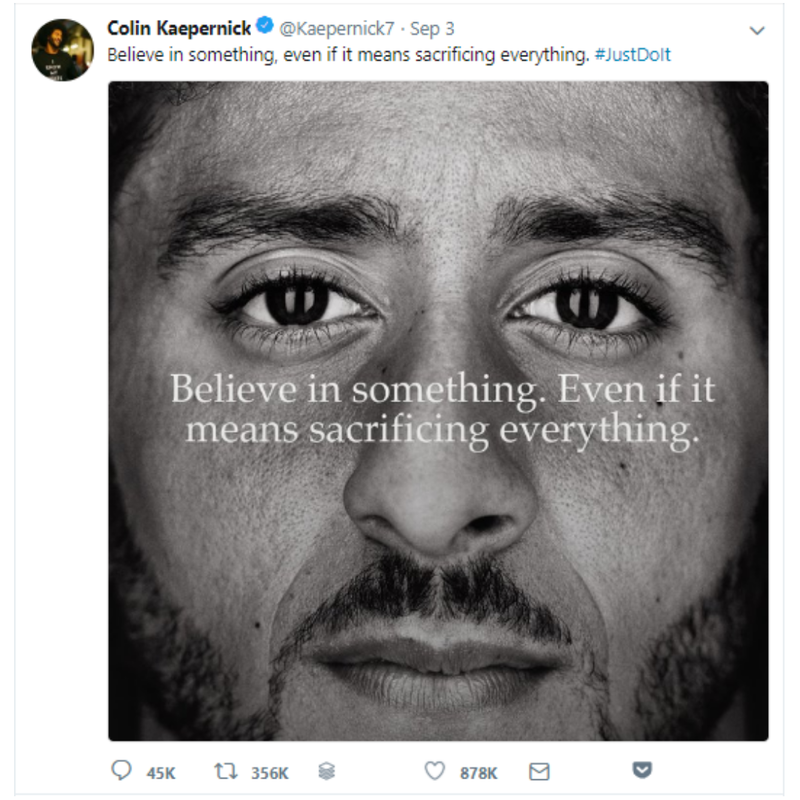 The advert shows Colin Kaepernick with the slogan “Believe in something. Even if it means sacrificing everything”. “We believe Colin is one of the most inspirational athletes of this generation, who has leveraged the power of sport to help move the world forward”, said Gino Fisanotti, Nike’s Vice President of Branding for North America. So, the marketing question is … has Nike been deliberately controversial for longer-term benefits? Or are they just bonkers? The brand must have expected to experience backlash. Maybe it was intentional? But, in such a short time frame Nike have shot to the top of trending topics on Twitter and have been plastered across news platforms. Right now, they’re much more relevant than their rivals – it’s safe to say they’re currently the most visible brand. Maybe causing a media frenzy was the reason behind the campaign? Right now, Nike are in the middle of a huge storm and they have yet to come through to the other side. It will be interesting to see what happens once they’ve weathered the storm. They lost a staggering $3.75 billion in market cap after naming Kaepernick the face of “Just Do It” ads. Nike have certainly taken a huge gamble. Those who support the kneeling athletes during the American National Anthem will likely buy Nikes, whereas those offended will boycott. In time, people will probably return to their normal habits and return to buying Nikes. Although, consumers may get used to not buying from the brand and may discover brands they prefer more and never feel the need to return to Nike again. Regardless of whether it’s good or bad, Nike are getting a lot of attention. What do you think? Have Nike made too big a gamble?